Airfoil Pickaxe in Fortnite BR. You can buy it from the Item Store for 800 vbucks. Airfoil is a Harvesting Tool Skin in Fortnite Battle Royale. Part of the Venture Set. 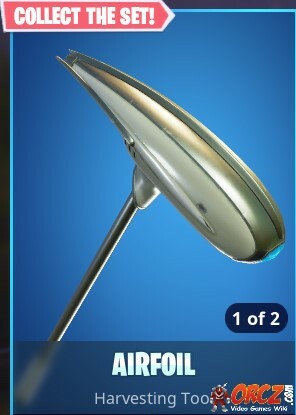 The Airfoil Harvesting Tool first appeared in the Item Shop on May 19th, 2018.